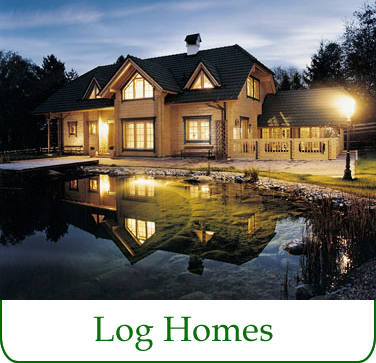 Nordic Log | Luxury Log homes & cabins. 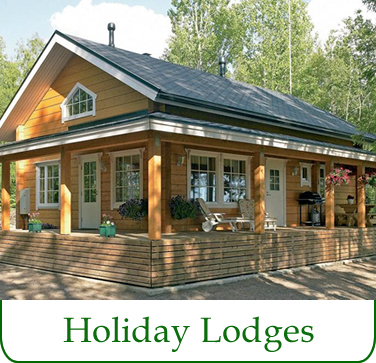 Wooden houses & timber lodges. Wood is a breathing material that easily adjusts to different environmental conditions. This is what makes wood an excellent construction material for various environments, ranging from alpine terrains to dry wildernesses and humid areas. Log walls balance the humidity and temperature of indoor air according to the weather variations. When it’s cold outside, the log construction retains warmth and keeps the indoor temperature stable and in the heat of the summer the massive log walls keeps indoor s cool for easy living and breathing. Wood is an ecological natural material that creates a special atmosphere for different premises. This is why log buildings have been constructed in Scandinavia for hundreds of years. Our log homes are some of Finland’s finest design collections. The pine logs provide superior insulation, a better performance than traditional bricks and mortar designed homes. Log Homes are naturally very popular in Scandinavia but are now recognized as the homes to choose all over the world where the climates vary from very dry and humid to extremely cold. A environmentally friendly home is the way forward. are perfect for Sauna's, Garden Buildings & Holiday Villa's & houses. homes using a renewable resource. Please visit PlotBrowser to see available plots of land for sale throughout the UK. Find the perfect location to start building your bespoke timber house. Our homes are built from finest quality timber logs from Scandinavia. The world's leading producer of high grade logs to give you assurance that your new home will be constructed using the finest timber. The results of tightness tests confirm that Nordic log houses are exceptionally tight. Our log homes are a healthy and energy efficient choice thanks to the structural tightness of our builds. It is easier to breathe in a Nordic log house! WHY CHOOSE A NORDIC LOG HOUSE? 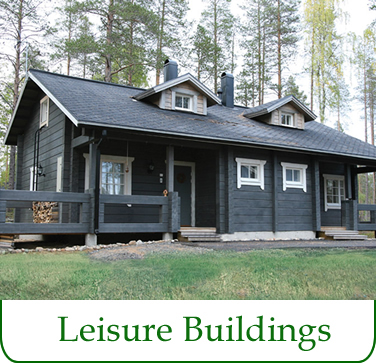 Nordic Log provides customised Log Homes, Holiday Homes Sauna’s, Cottages and Commercial Buildings. Our manufacturing partners have developed a flexible way of designing and manufacturing Log Homes of your dreams that can be built precisely to your design and wish list. All aspects of the interiors of our log buildings can also be modified, which ensures that your house will be exactly as you imagined it. For years Scandinavian products have been a byword for style and quality. The same is true of their homes. For centuries the Scandinavians have been building warm comfortable houses in wood. For them building high quality homes is essential if they are to survive the long bitterly cold winters. The style is just in their nature, they cannot help designing and manufacturing stunning looking homes. For your peace of mind our log homes and log cabins can be covered by a ten year warranty provided by Build Zone and recognised by all major lenders. What's more, they use independent building inspectors who assess your project for building regulations compliance and their combined service can save you money.